Rent villas and apartments in Quelfes, Algarve with private pools. Book affordable holiday rentals that are near a beach and golf course. 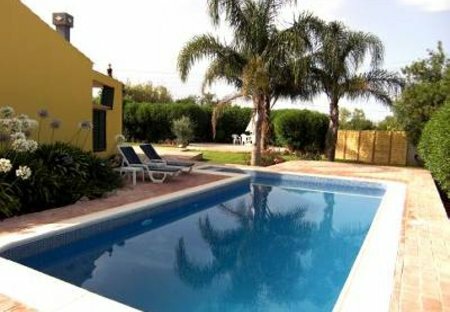 This 3 bedroom villa with private pool is located in Poço Longo and sleeps 6 people. It has WiFi and air conditioning. The villa is near a beach. Beautiful 4 bed/5 bath villa, sleeps 8/10. FREE heated pool and fast Wifi. Aircon. Truly superb garden with BBQ and pergola, overlooking unspoilt countryside. Wonderful views. Games room. This 3 bedroom villa with private pool is located in Quelfes and sleeps 6 people. It has WiFi, barbeque facilities and parking nearby. The villa is near a beach. This 4-bedroom villa for up to 8 guests is located in Olhao and has a private swimming pool. This 3-bedroom villa for up to 6 guests is located in Olhao and has a private swimming pool. This 3-bedroom villa for up to 6 guests is located in Olhao and has a private swimming pool and. In this 3 bedroom apartment sleeps six, has a fully equipped kitchen, two bathrooms (1 suite) and a spacious lounge /dining area with great views of the sea + balcony where you can relax.